Springfield, Mike Spence, and the Fairport Convention, just to name a few, The Dreadful Yawns formed in 1999 in Cleveland. 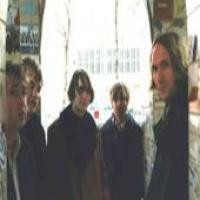 Since their beginnings, the band has evolved into a sort of indie-rock version of the Byrds, boasting multiple songwriters and vocalists, juxtaposing bright electric 12-string with country Telecaster, snarling harmonica with gentle acoustic bass, thunderous drumming with hushed banjo, and in the process shaping a sound that is entirely their own. This new, self-titled album is mature piece of work that will seduce music lovers everywhere.